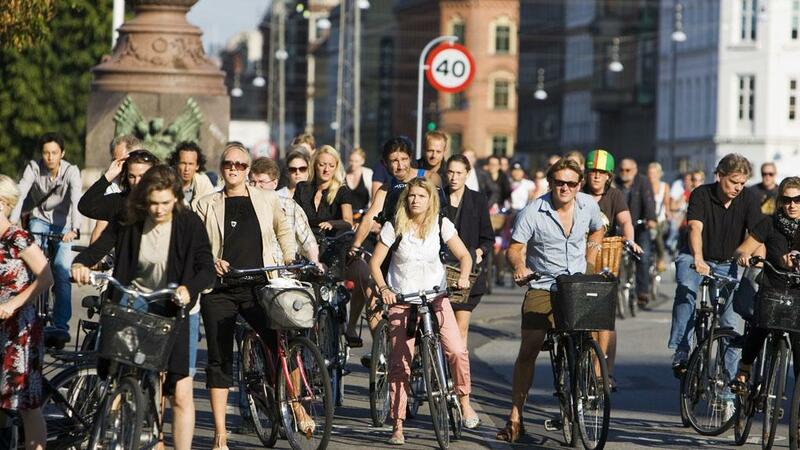 Copenhagen is a city where the people life on their bicycles. Cycling is the primary method of transportation in the city with people using bikes to get to work, take their children to school and go shopping. 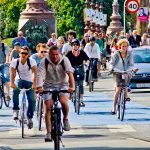 Cycling is such a large part of life in the Danish capital that only 29% of households living there own a car. Statistics show that there are actually more bikes in the city than there are people. 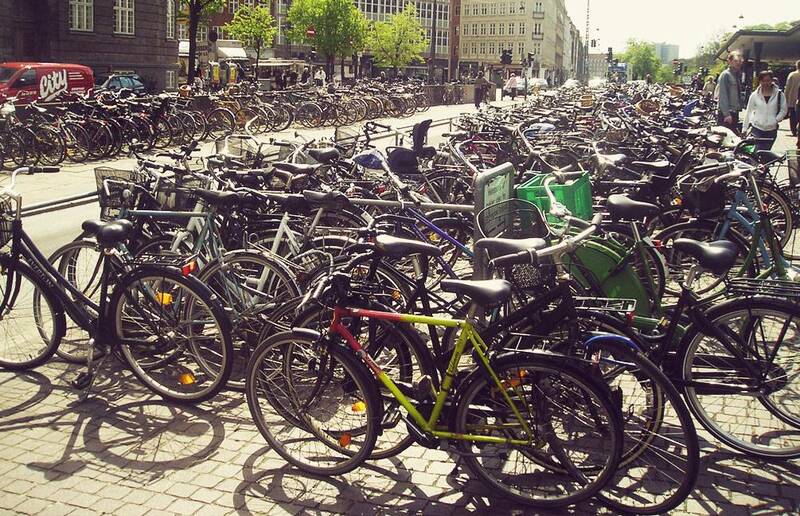 Copenhagen is focused on getting people to use bicycles when traveling around the city. The green transport routes around the city have been made for cyclists and will take you through all of the green spaces in the city. The cycle tracks and traffic lights have been coordinated to favor cyclists during rush hour and vehicles will often sit in traffic while cyclists sweep through the city. The city also hosts a cycle super highway which leads cyclists in and out of the city. The super highway reaches up to 15 kilometers outside of the city limits. The city has over 350 kilometers of cycle paths and lanes which make it very easy for cycles to get around. The lanes are also raised from the road which makes them very safe to use. 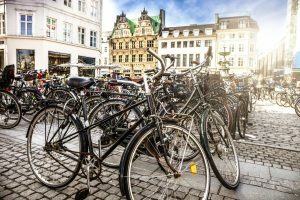 The sustainability experts at Treehugger have named Copenhagen the best cycle city for 2 years running. This is due to the wide lanes the city offers and the abundance of cycle routes. 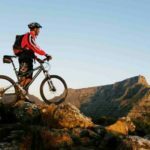 It is not only the city that has great cycle route, but many of the attractions to the north and south of the city can be reached using a bicycle. If you are going to be visiting Copenhagen then you do not have to worry about taking a bicycle with you. Many of the hotels in the city will provide their guests with bicycles so that they can travel around and view what the city has to offer. If you are not going to be staying in one of these hotels then you will have other options. 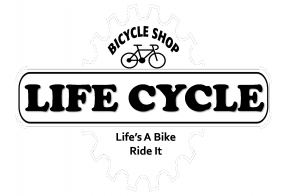 There are a number of bicycle rental stores around the city where you can hire a bicycle. The rentals will vary in price from 75kr for the day to 350kr for the week. However, if you are looking for a cheaper alternative then you could also borrow on do the city bikes. These bikes will cost 25kr for an hour and will have a built in GPS which is very useful for any visitors. 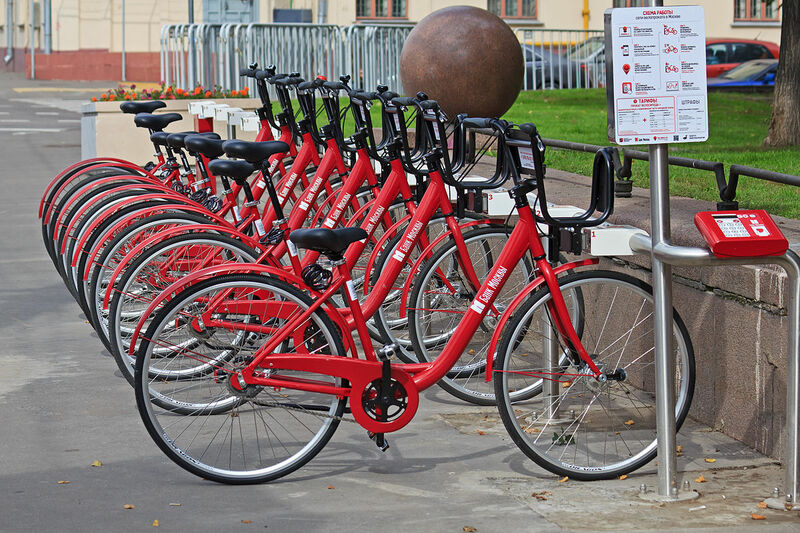 The bikes can be found across the city and rented from the city stands. The city bike program was first introduced in 1995 with the first generation of bicycles being retired and replaced over the years. In 2013 the city bikes changed and were replaced with a new generation of electric bikes which makes traveling around the capital even easier. There are 1800 bikes available for rental in the city bike program so you should never have trouble finding one. Bicycles are not the only form of transport in Copenhagen as they also have the S-train. If you are going to be taking the S-train then you can take your bike onto the train with you. 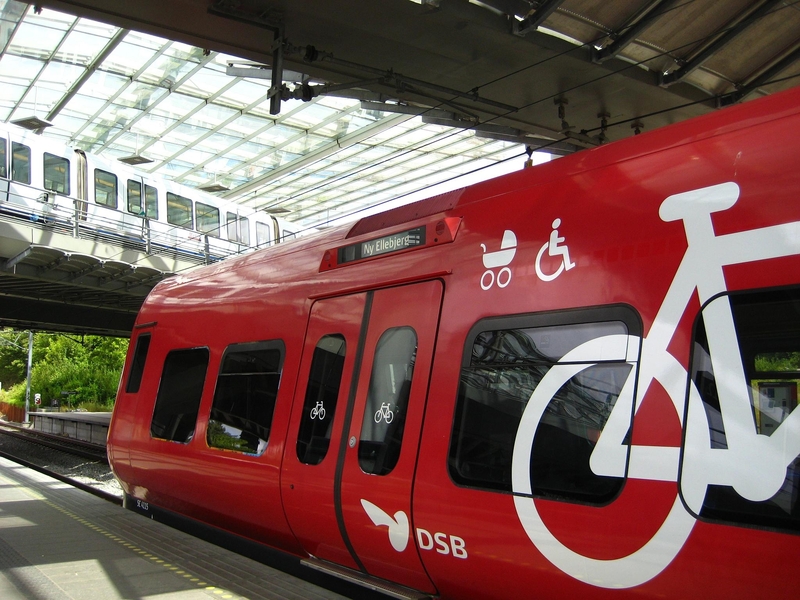 However, if you are going to be taking one of the regional trains in Denmark then you will need to buy a bike ticket. The cost of this ticket will vary depending on your destination and you will need to find out more at the train station. 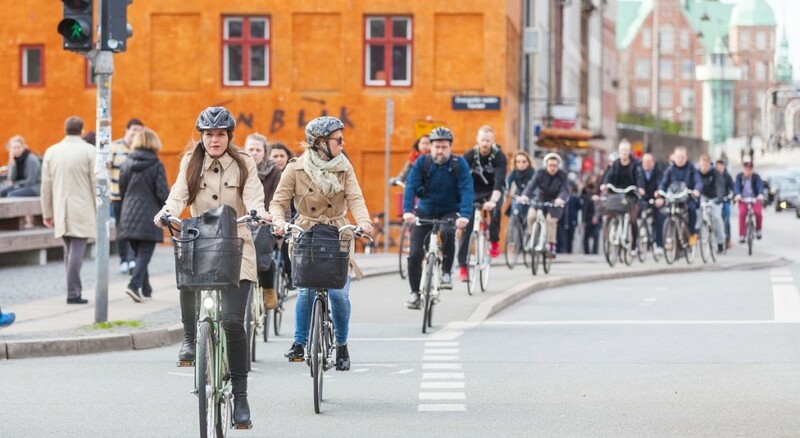 Cycling in Copenhagen is a way of life with at least a third of commuters using their bike to get to work. If you are visiting the city you can easily hire a bike from a rental store or from the city bike program.